After the success of Arrow and its spin-off, The Flash, Greg Berlanti and The CW decided to add to their shared universe with DC's Legends of Tomorrow (of course, Supergirl has now joined the fray as well). Legends of Tomorrow features a ragtag group of criminals, assassins, heroes, and everything in-between, as they unite to protect time itself. The first season, which pitted the Legends against the immortal Vandal Savage, had its ups and downs, but ultimately left much to be desired from a second season. That's not to say, however, that things were all bad. The first season certainly had its strengths, including exciting visuals, thrilling action sequences, and an exploration of different time periods in a way that could only be done on a show like Legends of Tomorrow. Unfortunately, Vandal Savage was not the menacing villain many fans would have hoped, and his stale portrayal overshadowed many of the stronger elements on the season. Despite any of its prior shortcomings, however, Legends of Tomorrow has a unique advantage over any other comic book adaptation currently on television. A series rooted in the ramifications of time travel allows for a deeper exploration of DC legacy than most series could afford to allocate the time. This survey of DC history began in season one, but is continuing in a big way in Legends of Tomorrow's sophomore run. And while more compelling villains, like a version of the Legion of Doom, add to the excitement and progress of the current season, an argument could be made that the single most compelling element of the time-traveling series is its ability to feature heroes throughout time. More so than its sister series, Legends of Tomorrow seems to be plagued by its long season order, forcing one-off episodes that do not progress the ultimate plot of the show. This was often distracting during the series' first season, but was made more tolerable when legacy characters were added in to the fray. One of the stronger episodes from season one, 'Star City 2046,' found the Legends in a bleak future where Oliver Queen was presumed to be dead. In his place, was John Diggle Jr. using the alias Connor Hawke. 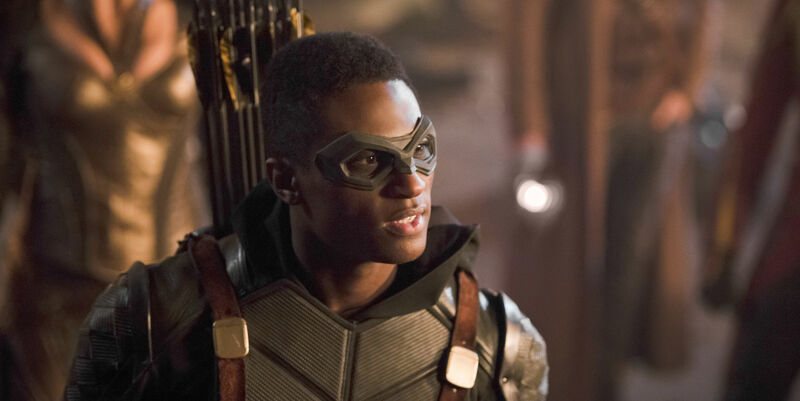 In the comics, Hawke is the second person to operate under the Green Arrow alias, and his appearance on Legends of Tomorrow became the series' first real foray into the extended history of the DC universe. This episode also featured Deathstroke's son, Grant Wilson, who had taken up his father's mantle while terrorizing Star City. 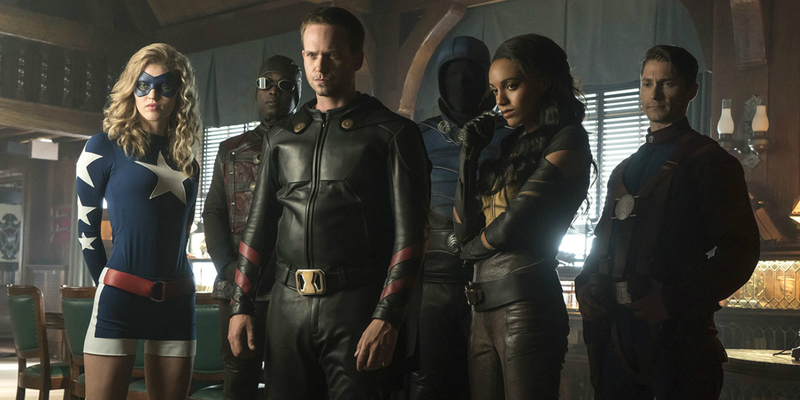 Even though 'Star City 2046' did little to further the Legends journey towards thwarting Vandal Savage's treachery, the episode became highly engaging due to its inclusion of legacy characters unlikely to appear in the other series (John Diggle Jr. is now in Arrow due to Flashpoint, but likely far away from picking up a bow). Getting an alternate look at Green Arrow, or a villain like Deathstroke, provides a television experience often left to animated programs that feature the occasional time travel plot (See: Justice League Unlimited). In particular, the inclusion of legacy characters helps to provide excitement in an episode that does not further the overall plot of the season. Take last week's 'Shogun,' where the Legends find themselves in 17th century Japan. This detour was not in an attempt to locate Eobard Thawne (who thus far appears to be the main instigator of the Legion of Doom's plot), but rather, to save Ray Palmer and Nate Heywood, who foolishly fell off the Waverider. What initially reeked like a classic Legend's one-off episode, turned out to be a rather strong installment in the series. Of course, 'Shogun' likely did waste some momentum from the prior two episodes, which quite excitingly set up a strong antagonist for the Legends. But the episode also officially delivered Citizen Steel, as Nate developed the ability to turn his skin into impervious metal. It now appears as if Nate will be able to follow in the heroic footsteps of his grandfather, Justice Society of America member, Commander Steel - who appeared in the two part premier along with the rest of the JSA. 'Shogun' included another nod to DC legacy, though in a blink and you'd miss it moment. After the Legends defended the Japanese village from the tyrannic Shogun, it is revealed that the blade ultimately given to Masako, was the Katana Sword. When Ray asked Masako her last name, she responds, "Yamashiro." 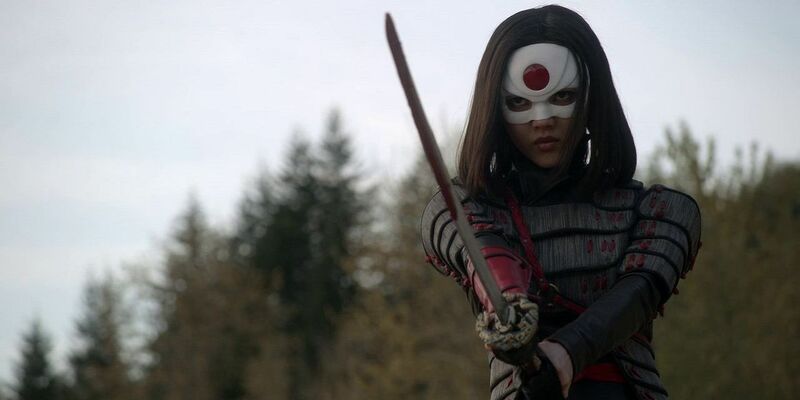 Katana (Tatsu Yamashiro) had previously appeared in seasons three and four of Arrow, and it appears that Masako, her ancestor, became the first to take up that mantle. While Arrow certainly could have shown us Masako in a flashback, Legends of Tomorrow was the perfect show for that type of an Easter Egg. Going forward, the Legends are being joined by yet another legacy character, Vixen. JSA member Amaya Jiwe will join the team on their hunt for Reverse-Flash, as she seeks retribution for the murder of Rex Tyler/Hourman. Jiwe, as Vixen, can channel the powers of the animal kingdom through her totem - the same one worn by her granddaughter, Mari McCabe, who has appeared as Vixen on Arrow and the web-series, Vixen. The DC Comics' universe is so large that it would be impossible for one show to explore it all. Stand-alone series like Arrow, The Flash, and Supergirl are best left as journeys through the lore of their main characters. Even a theoretical team up series like Justice League (not saying that is happening), would be unable to accomplish such a feat. This is what makes Legends of Tomorrow so unique. A 1940s Justice Society would not fit as neatly into the narrative of other series. Sure, they could be featured in a flashback, or a one-off time travel episode, but it would likely come across as forced. In Legends of Tomorrow, not only does it make sense, but the exploration of the JSA, in particular, is integral to the plot of the season. Legends of Tomorrow's distinct format opens up the opportunity to see further characters from throughout DC's long history. 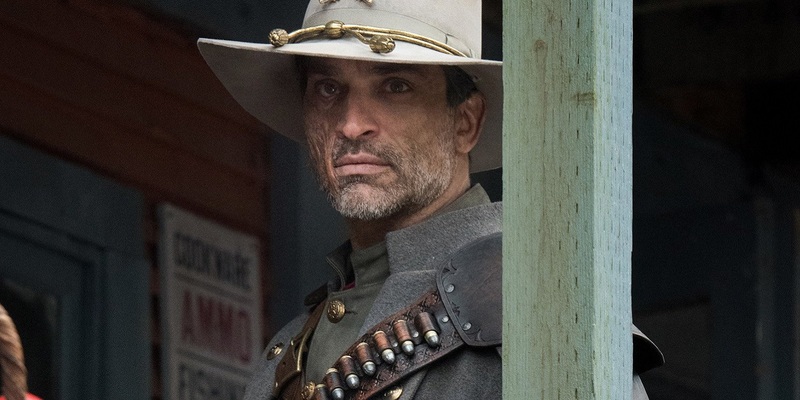 For example, 19th century gunslinger, Jonah Hex, appeared in a season one episode and is slated to reappear this season. The inclusion of these types of characters presents the opportunity for many episodes of Legends of Tomorrow to seem like their own spectacles. And Greg Berlanti, and team, should continue to mine the DC history available to them to add heroes (and villains) to the Arrowverse that would not make sense, or would feel out of place, on the other series. Like Connor Hawke, Legends of Tomorrow could be the perfect platform to introduce a Flash counterpart, Bart Allen. It is worth noting that future Barry Allen's mysterious message to Rip Hunter originated in 2056. Interestingly enough, Bart Allen's first appearance on the animated series, Young Justice was in, you guessed it, 2056. This is not to say that Legends of Tomorrow has tipped their hand and are indeed introducing the Barry Allen descendant. But they certainly could, and should. An addition like Bart Allen, even if just for an episode, would highlight why Legends of Tomorrow should not just be considered the poor man's spin off from Arrow and The Flash, but rather must see TV for anyone interested in the long history of DC Comics. Whether Legends of Tomorrow will continue to include legacy characters beyond what they have already done is anyone's guess. But there is no question that the series is better suited to do so than any other right now. What do you think? Do you feel Legends of Tomorrow has taken advantage of its time traveling premise? What other characters from throughout time would you like to see appear? Let us know in the comments! DC's Legends of Tomorrow continues tonight with ‘Abominations’ at 8pm on The CW.